Here comes another change to the Ellery Queen mysteries: This is the first novel or short story where the title has nothing specifically to do with the story. 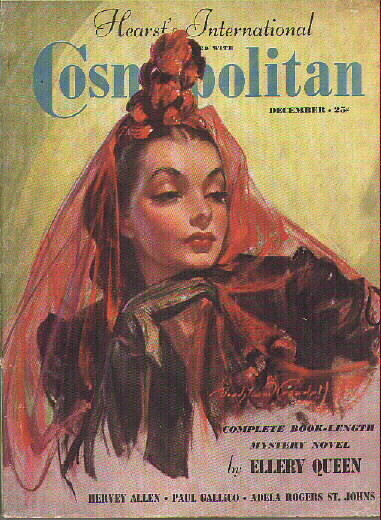 The Devil to Pay originally appeared in the December, 1937 issue of Cosmopolitan. A Hollywood studio has hired Ellery as a writer. He’s been in Los Angeles, with a plush office on studio grounds for two weeks, but with no actual assigned work, which means, yes, frustration at the studio, but also enough time on his hands to solve a murder. Ellery appears, ever so briefly, with laryngitis and a beard: by losing them both, he is able to take on the identity of ace reporter Hilary King. Amazingly, no one sees through the disguise. The initial clues point one way, but Ellery finds the clues had been planted once the murderer’s original plans went awry. Other than that, there is not much of interest in this novel. The pace is well written, but the characters and plot all seem destined for a B-studio back lot. Perhaps the cousin’s own frustrations with writing unproduced screenplays for Hollywood are shining through, sure, but it is too bad that the frustrations bled from screenplays into one of their novels. 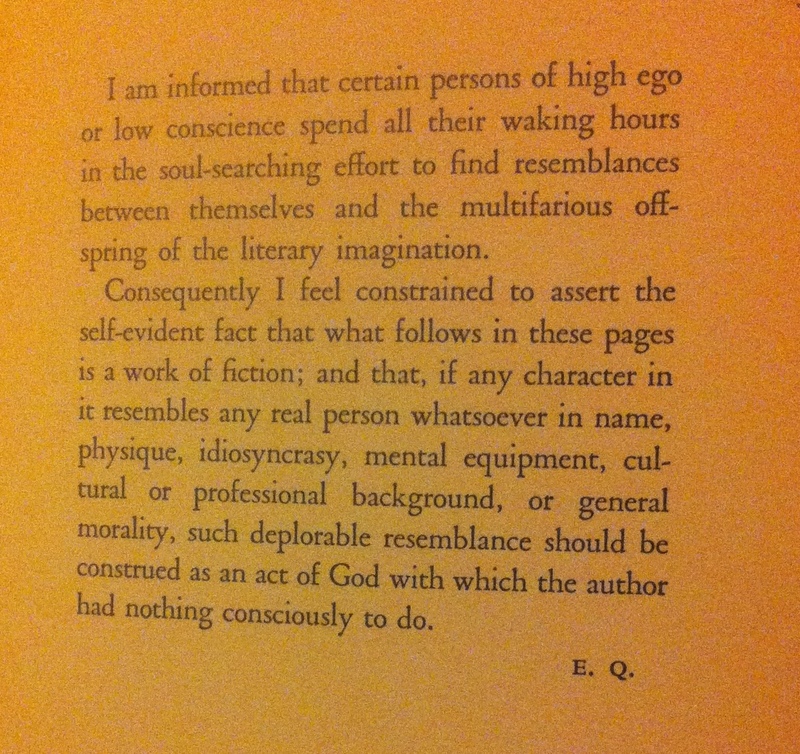 But he would certainly write more about the film industry: this was the first of Ellery Queen’s Hollywood Trilogy. These were not the best of the series. Four of Hearts is some what better and introduces Paula Paris. It seems he is out of his arrogant Philo Vance mode by this time. They say it starts in the Door Between. What do you think? Do you agree? The cousins were still coming out of the “Philo Vance” phase, which was a long, slow process. It could be said to really have started anywhere around the Spanish Cape Mystery, on. I think his relationship with and experience in Hollywood helped this transition. Edward D. Hoch was right in saying that this was not the right mileu of Queen. The Origin of Evil is a post Wrightsville Hollywood Novel from about 12-13 years later that works somewhat better than the later ones. Oops. Mean to say “better than the earlier ones”. It’s not really one of the cousins’ best, but it is interesting to see Ellery as a fish out of water. Glucke comes around eventually but he’s initially hostile, which forces Ellery to be sneakier than usual.